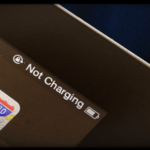 Several users have reported that they are unable to charge their iPad minis. Users stated that iPad mini only charges to 90-93% and then it stops being charged completely. If you have this problem, please Follow the instructions below for assistance. After performing each step, please test to see if the issue is resolved. Try recalibrating the battery, Apple recommends that once a month you let the iPad fully discharge (shut itself off) & then recharge to 100%. 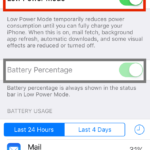 You may want to try fully draining your iPad’s battery and then recharging. Problem may be your adapter. Use the included cable and USB power adapter, if you are using something different. My apple ipad .not showing anything on screen .when we connect the charging wire connecting beep sound heared .even after connecting no any thing viewed on the screen .also by pressing start button there is no view on screen .please help and reply. First try and force restart your iPad by holding down both the Home button and the Power button. Press and hold these until you see the Apple logo. If that works for you, you’ll get the unlock screen once the iPad fully starts up. If force restarting did not work, take a look at the tips in this article and see if any work for you. If not, we suggest connecting your iPad to a computer with the latest version of iTunes. See if iTunes recognizes your iPad. If so, you may need to restore your iPad with iTunes either back to factory settings or using a backup. If iTunes does not recognize your iPad, please contact Apple Support for next steps, checking if it’s under warranty.